The crescent moon to commence the month of Sha’baan 1440 AH was looked for after the sunset of Friday 5th April 2019. Reports from committees confirm that the moon was NOT SIGHTED. THE HILAL COMMITTEE OF TORONTO & VICINITY has accepted these reports and has declared that the month of Rajab 1440 AH will complete 30 days. Therefore, the 1st day of Sha’baan 1440 AH will be Sunday 7th April 2019. Correspondingly the night of Baraat will be Saturday 20th April, and the 15th Sha’aban will be Sunday 21st April 2019. The next Meeting of the Hilal Committee will be held on 29th Sha'baan Sunday May 5th 2019. To determine the sighting of Hilal for Ramadan. Day/Date Sunday 5th May 2019. Please send a Imam / Scholar and a representative from your organisation. Hilal Committee, based in Toronto, does not include the Pacific time zone. Our Fiqh Committee agreed with the sunset in the summer at 9:04 PM to wait 3 hours for Pacific zone was not practical for Masjids Taraweeh Salaat. Our standards are applied the same way for each moon sighting. Alhumdolillah The Hilal Committee of Toronto was established in the early 80’s to serve and guide the muslims in and around Toronto the sunnah way of maintaining the Islamic Calendar, and the establishments of Islamic dates, and months, Many Masajid, and organisations, and muslims in Toronto and across Canada, trusted and continue to trust the Hilal Committee’s decision and followed it’s announcements for over 30 years. The Hilal Committee has been consistent in its policy of following the blessed sunnah of our Prophet, (p.u.h.) in the matter of sighting and accepting shahadah of sighting with the naked eye. Recently few member masajids and organisations decided to separate themselves from the Hilal Committee, and it’s policy, to adopt Global sighting with Saudi Arabia. They have issued a joint statement to this effect, and are actively inviting member organisations and masajids to join them. The Hilal Committee wishes to clarify that the sound methodology on The Hilal Committee will not be abandoned, and The Hilal Committee will continue to maintain its policy and criteria as it always has. Jumada al Awwal 1438 There has been confirmed report of Hilal sighting for the month of Jumada Al Thani on the eve of Monday, 29th Jumada Al Awwal, from within the parameters (in Barbados) of the Hilal Committee of Toronto.Ramadan 1438 There are confirmed reports of sighting of Hilal for the month of Ramadan from within the parameters of the Hilal Committee ( Various Places as Barbados) on the eve of Friday 29th of Sha'aban . Therefore, the Hilal Committee declares Saturday 27th May 2017, the 1st of Ramadan 1438. Therefore The Hilal Committee declares Tuesday 28th February, 2017 the 1st of Jumada Al Thani. Correspondingly the 29th of Jumada Al Thani will fall on Tuesday 28th March 2017. Jumada al Awwal 1438 There has been NO confirmed and verified sighting of Hilal for the month of Jumada al Awwal from within the parameters of the Hilal Committee of Toronto on the eve of Saturday, 29th Rabi al Aakhar. Rabi al Aakhar Completes 30 days. Correspondingly the 29th of Jumada al Awwal will fall on Monday, 27th Feb 2017. Rabiul Aakhar 1438 There have been NO confirmed sightings of the new crescent in the parameters of the Hilal Committee on the eve of Thursday, 29 of December 2016 (29th Rabi al Awwal), therefore the Hilal Committee of the GTA officially declares that Rabi al Awwal completes 30 days and the 1st of Rabial Aakhar 1438 will be on Saturday 31st of December 2016. Correspondingly the 29th of Rabial Aakhar will be Insha Allah on Saturday, 28 of Jan 2017. Rabiul Awwal 1438 There have been NO confirmed sightings of the new crescent in the parameters of the Hilal Committee on the eve of Tuesday 29 November, 2016 (29th Safar), therefore the Hilal Committee of the GTA officially declares the completion of Safar on Wednesday. The 1st of Rabiul Awwal 1438 will be on Thursday 1st of December, 2016. Correspondingly the 29th of Rabiul Awwal will fall on Thursday 29th of December 2016. Safar 1438 Hilal for the month of Safar was sighted and confirmed from within the parameters (in the Caribbean) of the Hilal Committee. Therefore The Hilal Committee declares Tuesday 1st of November the 1st Of Safar 1438. Correspondingly the 29th of Safar will fall on Tuesday the 29th November 2016. Muharram 1438 The Hilal for the month of Muharram was NOT sighted within the parameters of the Hilal Committee of Toronto and Vicinity on the eve of Saturday the 29th Zul-Hijjah, corresponding with 1st October 2016. Therefore the Hilal Committee declares 1st of Muharram on Monday the 3rd of October, 2016. Correspondingly the 29th of Muharram will fall on Monday 31st of October 2016. Zhul Hijjah 1437 There have been numerous reports of verified sighting of Hilal on the eve of 29th Zhul Qadah 1437, Friday 2nd September, 2016 from within the parameters of the Hilal Committee of Toronto. Therefore, 1st day of Zhul Hijjah will be on Saturday the 3rd of September, 2016. Correspondingly the 10th of Zhul Hijjah - EID AL ADHA - will fall on Monday the 12th September 2016. The next meeting of The Hilal Committee to determine the Hilal for Zul Hijjah and celebration of Eidul Adha will Insha'Allah, be held on Friday 29th ZulQada, corresponding with 2nd September 2016. Representatives are requested to meet for salatul Asar. Salatul Asar is at 6.45pm.Dinner will be served after Salatul Asar, meeting will commence after Salatul Magrib. Organisations are humbly requested to send a maximum of two Representatives including Imam or Scholar to the meeting. ZulQada 1437 There was NO confirmed sighting of Hilal for ZulQada on the eve of 29th Shawwal, Wednesday the 3rd of August, 2016, within parameters of Hilal Committee. Shawwal completes 30 days Therefore the 1st of ZulQada will be Friday the 5th of August, 2016. The 29th of ZulQada will fall on Friday the 2nd September 2016. Ramadan 1437 There have been NO confirmed sightings of the new crescent in the parameters of the Hilal Committee on the eve of Monday July 4th, 2016 (29th Ramadan 1437), therefore the Hilal Committee of the GTA officially declares 30 days of the blessed month of Ramadan. The 1st of Shawwal (Eidul Fitr) will be on Wednesday July 6, 2016. Lepage Ct. Runs east from Keele Street, north of Sheppard Ave and South of Finch Ave.
Each Masjid/Organisation is requested to send a maximum of 2 Representative to the meeting. Masjid/Organisation wishing to order Hilal Committee calendar, please contact Br. Vali Mohammed. Ramadan 1437 There have been confirmed sightings of the new crescent in the parameters of the Hilal Committee (in Chile) on the eve of Sunday June 5th, 2016 (29th Shabaan 1437), therefore the Hilal Committee of the GTA officially declares Ramadan will begin on Monday 6th of June, 2016. RAMADAN KAREEM TO ONE AND ALL. First day of Fasting will be Monday 6th of June, 2016. The next meeting of The Hilal Committee of Toronto will InshaAllah be on Sunday 29th Shab'an, corresponding with 5th June 2016. To determine the sighting of Hilal and begin the month of Ramadan. ( Keele and Eglington ) south of Eglington east of Keele St.
Each member organisation is requested to limit the number of Representatives to 2, preferably one Alim. Also please forward the $25.00 fee for 2016 if not already paid. Shabaan 1437 There has been confirmed report of sighting of the Hilal for the month of Shabaan on the eve of Saturday 29th Rajab, from within the parameters of the Hilal Committee of Toronto (Barbados and Trinidad). Therefore The Hilal Committee declares that the 1st of Shabaan will be on Sunday the 8th of May 2016. Correspondingly the 29th of Shabaan will fall on Sunday 5th June 2016. Rajab 1437 There has been NO confirmed and verified report of sighting of Hilal for the month of Rajab from within the parameters of The Hilal Committee, on the eve of Thursday 29th of Jumada al Thani. Jumada al Thani Completes 30 days. Therefore The Hilal Committee declares Saturday 9th April 2016, the 1st of Rajab 1437. Correspondingly the 29th of Rajab will fall on Saturday 7th May 2016. Jumada al Thani 1437 There has been confirmed report of Hilal sighting for the month of Jumada Al Thani on the eve of Wed 29th Jumada Al Awwal, from within the parameters (in Trinidad) of the Hilal Committee of Toronto. Therefore The Hilal Committee declares Thursday 10th March, 2016 the 1st of Jumada Al Thani. Correspondingly the 29th of Jumada Al Thani will fall on Thursday 7th April 2016. Jumada al Awwal 1437 There has been NO confirmed and verified sighting of Hilal for the month of Jumada al Awwal from within the parameters of the Hilal Committee of Toronto on the eve of Monday, 29th Rabi al Thani. Rabi al Thani Completes 30 days. Correspondingly the 29th of Jumada al Awwal will fall on Wed, 9th March 2016. Rabiul Aakhar 1437 There have been confirmed sightings of the new crescent in the parameters (New Jersey, USA) of the Hilal Committee on the eve of Sunday, 10 of January 2016 (29th Rabi al Awwal), therefore the Hilal Committee of the GTA officially declares that the 1st of Rabial Aakhar 1437 will be on Monday 11th of January 2016. Correspondingly the 29th of Rabial Aakhar will Insha Allah be on Monday, 8 of Feb 2016. Rabiul Awwal 1437 There have been NO confirmed sightings of the new crescent in the parameters of the Hilal Committee on the eve of Friday 11 December, 2015 (29th Safar), therefore the Hilal Committee of the GTA officially declares the completion of the Safar on Saturday. The 1st of Rabiul Awwal 1437 will be on Sunday 13th of December, 2015. Correspondingly the 29th of Rabi al Awwal will Insha Allah be on Sunday, 10 of January 2016. Safar 1437 Hilal for the month of Safar was sighted and confirmed from within the parameters of The Hilal Committee in Trinidad and Chile. Therefore The Hilal Committee declares Friday 13th November the 1st Of Safar 1437. Correspondingly the 29th of Safar will fall on Friday the 11th December 2015. Muharram 1437 The Hilal for the month of Muharram was NOT sighted within the parameters of the Hilal Committee of Toronto and Vicinity on the eve of Tuesday the 29th Zul-Hijjah, corresponding with 13th October 2015. Therefore the Hilal Committee declares 1st of Muharram on Thursday the 15th of October, 2015. Correspondingly the 29th of Muharram will fall on Thursday the 12th of November 2015. Zhul Hijjah 1436 There have been NO reports of verified sighting of Hilal on the eve of 29th Zhul Qadah 1436, Sunday 13th September, 2015 from within the parameters of the Hilal Committee of Toronto. Therefore the month of Zhul Qadah will compelete 30 days and the 1st day of Zhul Hijjah will be on Tuesday the 15th of September, 2015. Correspondingly the 10th of Zhul Hijjah - EID AL ADHA - will fall on Thursday the 24th September 2015. Zhul Qada 1436 There was confirmed sighting of Hilal for ZulQada on the eve of 29th Shawwal, Saturday the 15th of August, 2015, within parameters of Hilal Committee (sighted in Chile) Therefore the 1st of ZulQada will be Sunday the 16th of August, 2015. The 29th of ZulQada will fall on Sunday the 13th September 2015. Sunday 29th Zul Qadah 1436, Sunday 13th September 2015. To determine the sighting of Hilal for the month of Zul Hijjah, and the celebration of Idd ul Adha. Please have a maximum of two Representatives per organisation and a Scholar attend the meeting. 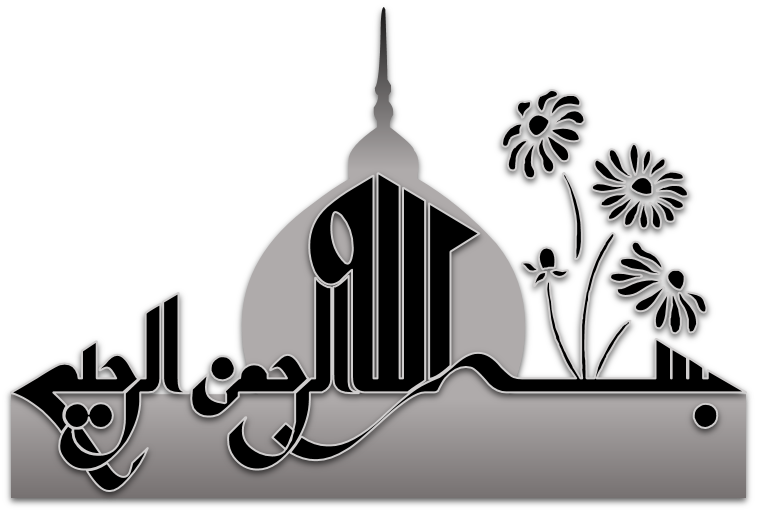 Representatives are to meet for Salatul Asar 6.00pm.Dinner will be served after Salatul Asar, and meeting will follow. It is with heavy hearts that the Hilal Committee inform its members of the sudden passing away of our Amir, Sheikh Khaleel Sufi this evening, 13th August, 2015. We pray almighty Allah forgive Sheikh's short comings and admit him into al-jannah firdous. 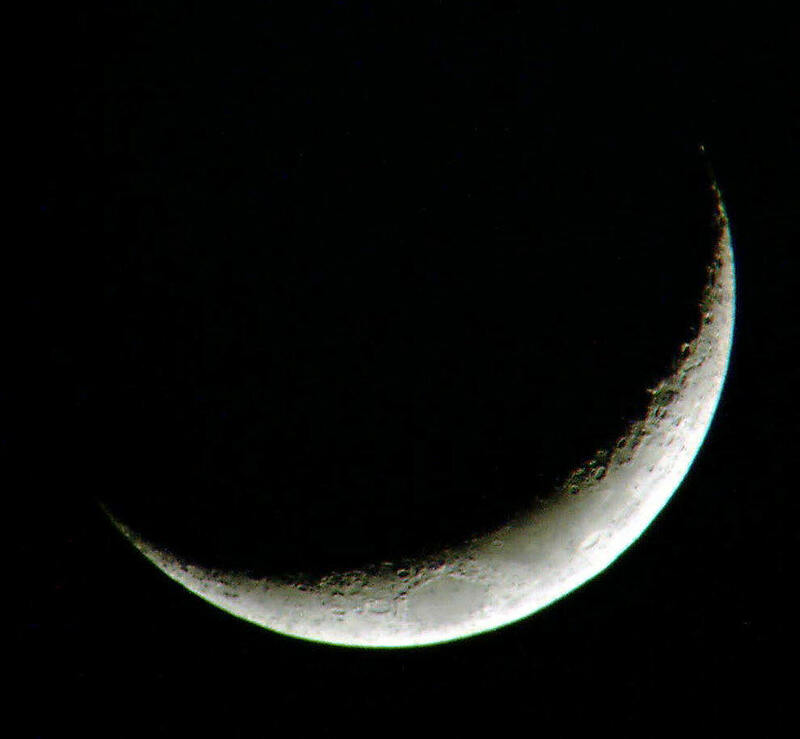 Ramadan 1436 There have been confirmed sightings of the new crescent in the parameters of the Hilal Committee (in West Indies, Chile and Panama) on the eve of Wed June 17th, 2015 (29th Shabaan 1436), therefore the Hilal Committee of the GTA officially declares Ramadan will begin on Thursday 18th of June, 2015. First day of Fasting will be Thursday 18th of June, 2015. Shabaan 1436 There has been no report of sighting of the Hilal for the month of Shabaan on the eve of Monday 29th Rajab, from anywhere within the parameters of the Hilal Committee of Toronto. Therefore The Hilal Committee declares Tuesday 19th May the 30th of Rajab and the 1st of Shabaan will be on Wednesday the 20th of May 2015. Correspondingly the 29th of Shabaan will fall on Wednesday 17th June 2015. Rajab 1436 There has been confirmed and verified report of sighting of Hilal for the month of Rajab from within the parameters of The Hilal Committee, on the eve of Sunday 29th of Jumada al Thani(Sunday 19th April 2015 ). Therefore The Hilal Committee declares Monday 20th April 2015, the 1st of Rajab 1436. Correspondingly the 29th of Rajab will fall on Monday 18th May 2015. Jumada Al Thani 1436 There has been no report of sighting of the Hilal for the month of Jumada Al Thani on the eve of Friday 29th Jumada Al Awwal, from anywhere within the parameters of the Hilal Committee of Toronto. Therefore The Hilal Committee declares Saturday 21st March the 30th of Jumada Al Awwal and the 1st of Jumada Al Thani will be on Sunday the 22nd of March 2015. Correspondingly the 29th of Jumada Al Thani will fall on Sunday 19th April 2015. Rabial Awwal 1436 There has been confirmed and verified sighting of Hilal for the month of Jumada al Awwal from within the parameters of the Hilal Committee of Toronto on the eve of Thursday the 29th Rabi al Thani. Correspondingly the 29th of Jumada al Awwal will fall on Friday 20th March 2015. Rabial Aakhar 1436 There were various verifiable sightings of the new crescent in the parameters of the Hilal Committee, on the eve of Wed Jan 21, 2015 (29th Rabial Awwal), therefore the first of Rabial Aakhar 1436 will be on Thursday 22nd of January, 2015. Correspondingly the 29th of Rabi al Awwal will Insha Allah be on Thursday, 19th of Feb 2015. Rabi al Awwal 1436 There have been NO confirmed sightings of the new crescent in the parameters of the Hilal Committee, Including Barbados, Panama, Trinidad, Grenada, Chile, Eastern Canada, Chicago, on the eve of Monday 22 December, 2014 (29th Safar), therefore the Hilal Committee of the GTA officially declares the completion of the Safar On Thuesday. The 1st of Rabiul Awwal 1436 will be on Wed 24th of December, 2014. Correspondingly the 29th of Rabi al Awwal will Insha Allah be on Wed, 21st of January 2015. Safar 1436 Hilal for the month of Safar was sighted and confirmed from within the parameters of The Hilal Committee in Trinidad and Guyana. Therefore The Hilal Committee declares Monday 24th November the 1st Of Safar 1436. Correspondingly the 29th of Safar will fall on Monday the 22nd December 2014. Muharram 1436 The Hilal for the month of Muharram was NOT sighted within the parameters of the Hilal Committee of Toronto and Vicinity on the eve of Friday the 29th Zul-Hijjah, corresponding with 24th October 2014. Therefore the Hilal Committee declares 1st of Muharram on Sunday the 26th of October 2014. Correspondingly the 29th of Muharram will fall on Sunday the 23rd of November 2014. Zhul Hijjah 1435 There have been NO reports of verified sighting of Hilal on the eve of 29th Zhul Qadah 1435, Wed 24th September, 2014 from within the parameters of the Hilal Committee of Toronto. Therefore the month of Zhul Hijjah will begin on Friday the 26th of September, 2014. Correspondingly the 10th of Zhul Hijjah - EID AL ADHA - will fall on Sunday the 5th October 2014. ZulQada 1435 There was no confirmed sighting of Hilal for ZulQada on the eve of 29th Shawwal, Monday the 25th of August. Therefore the month of Shawwal completes 30 days on Tuesday and the 1st of ZulQada will be Wednesday the 27th of August, 2014. The 29th of ZulQada will fall on Wednesday the 24th September 2014. The next meeting of the Hilal Committee will be held InshaAllah on 29th of ZulQada Wednesday, the 24th September at Makki Masjid, Brampton. Ramadan 1435 There have been no confirmed sightings of the new crescent in the parameters of the Hilal Committee on the eve of Friday June 27th, 2014 (29th Shabaan 1435), therefore the Hilal Committee of the GTA officially declares Shaban to complete 30 days and Ramadan will begin on Sunday 29th of June, 2014. First day of Fasting will be Sunday 29th of June, 2014. Therefore The Hilal Committee declares the 1st of the month of Shabaan will be on Friday. the 30th of May 2014. Correspondingly the 15th of Shabaan will fall on Friday corresponding with 13th June 2014. The blessed night of Baraat will be on Thursday night Friday morning. The 29th of Shaban will fall on Friday the 27th June 2014. The next meeting of the Hilal Committee will be held InshaAllah on 29th Shabaan Friday 27th June after salatul Magrib at Madinah Masjid located at 1015 Danforth Ave at Donlands. Each member organisation is requested to send no more then 2 Reps and a Imam or Scholar to the meeting. Please forward the annual fees of $25.00 for 2014, if not yet paid by your organisation. Rajab 1435 The hilal for the month of Rajab was NOT sighted within the parameters of the Hilal Committee on the eve of 29th of Jumada al Thani, corresponding with Tuesday 29th April 2014. Therefore, the Hilal Committee declares the 1st of Rajab on Thursday the 1st of May 2014. Correspondingly the 29th of Rajab will fall on Thursday the 29th May 2014. Jumada al Thani 1435 The hilal for the month of Jumada al Thani was sighted within the parameters of the Hilal Committee ( Orleans, Ottawa) on the eve of Monday 29th Jumada al Awwal, corresponding with Monday the 31th of March 2014. The 1st of Jumada al Thani will fall on Tuesday the 1st of April 2014. Correspondingly the 29th of Jumada al Thani will fall on Tuesday the 29th April 2014. Jumada al Awwal 1435 There was no sighting of Hilal for the month of Jumada al Awwal from anywhere within the parameters of The Hilal Committee, on the eve of Saturday the 29th Rabi al Thani. Corresponding to Saturday the 1st March 2014.
Who are the members of the Hilal Committee? How Is A Decision Declared at the Hilaal Committee? Why Not Follow the Sighting of Saudi Arabia? Why does it take so long for the Hilal Committee to decide at occasions? Eid al-Adha or Eid al-Hajj? Hilal Sighnting In Saudia Arabia : A First Hand Report by Dr. Salman Zafar Shaikh . Determination Of Eid-ul-Adha by Justice Sh. Mufti M. Taqi Usmani . When moon-sighting ends up as moon-fighting... by Sikander Ziad Hashmi. Ramadan: The Muslim Reformer by Maulana Habeeb.